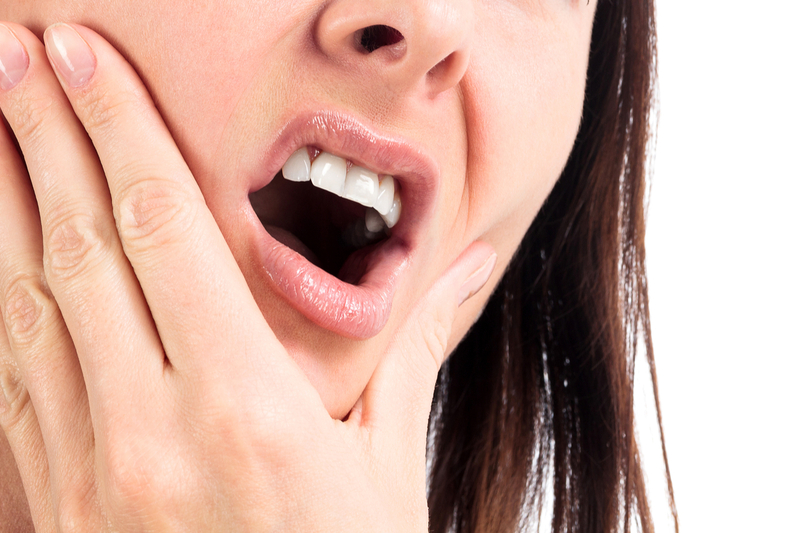 There are a number of causes of toothache, including decay, injury, sinus problems, and even clenching or grinding. An abscessed tooth-- which is an infection that occurs in the pulp of the tooth and can then spread to the bone and tissues surrounding the tooth root, can be a serious dental emergency that needs prompt treatment. Tooth pain If you have persistent, severe pain that wakes you up at night an abscessed tooth might be the cause. Fever. An abscessed tooth is an infection, so the body may respond with a fever. Swollen gums. Periodontal disease is the most common cause of gum discomfort. An abscessed tooth, however, can also cause swollen, red, and tender gums. Sometimes, an open, draining sore on the gums will also be present. Foul-smelling breath. While there are many causes of halitosis, persistent, foul-smelling breath can be indicative of an abscessed tooth. Likewise, a bitter taste in the mouth should prompt further investigation. No Symptoms. Surprisingly, many abscessed teeth do not hurt at all. Pain from an abscessed tooth is caused by pressure building up in the bone. If the infection finds a place to drain or dissipate, there may be no pain. Signs of an abscess can show up on a routine dental x-ray, usually as a dark shadow above the root tip. Regular brushing. You should brush your teeth at least twice a day, and more often if you've been indulging in sugary snacks or carb-loaded food. Flossing. Brushing alone is not enough. Flossing is an important part of good oral hygiene; floss can reach the areas between the teeth where food particles and bacterial plaque get trapped. Preventive care. Visiting your dentist for check-ups, professional cleanings and fluoride treatments is a vital part of maintaining a healthy smile. It’s the only way to catch cavities when they are small before the decay gets close to the pulp and can cause a dental abscess.